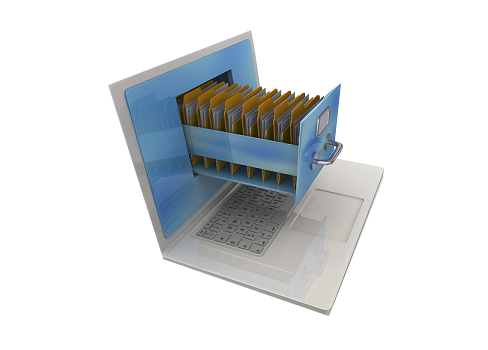 FolderViewer 5.1 was available as a giveaway on May 6, 2017! 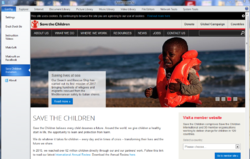 Donorware: For Save the Children. Limitless free updates and support included. 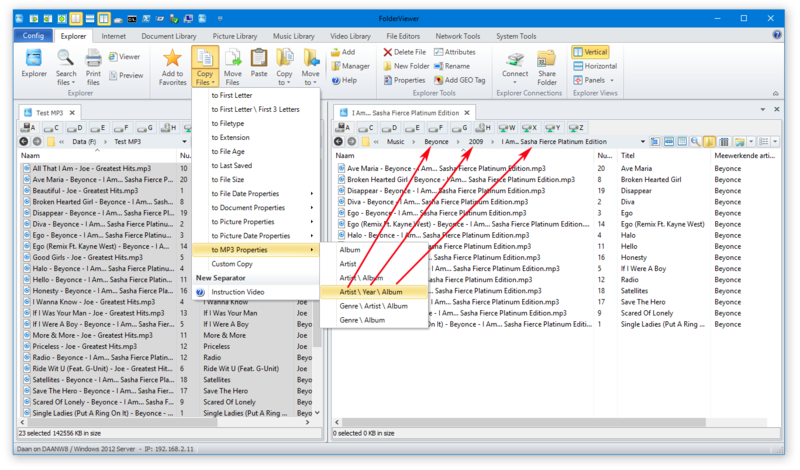 FolderViewer is an award winning application that is a great choice for those who require a reliable file and folder manager for organizing their data. 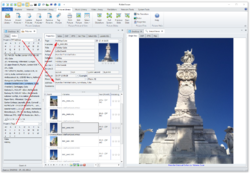 Featuring a thoughtful design that incorporates numerous quick access features and tools, the application provides users with an enhanced file / folder management system. There several Libraries for Documents, Pictures, Songs and Movies. The libraries can be searched using Matrix queries. Additionally, there are several dedicated modules for network monitoring and system tools, which complete the bundle. 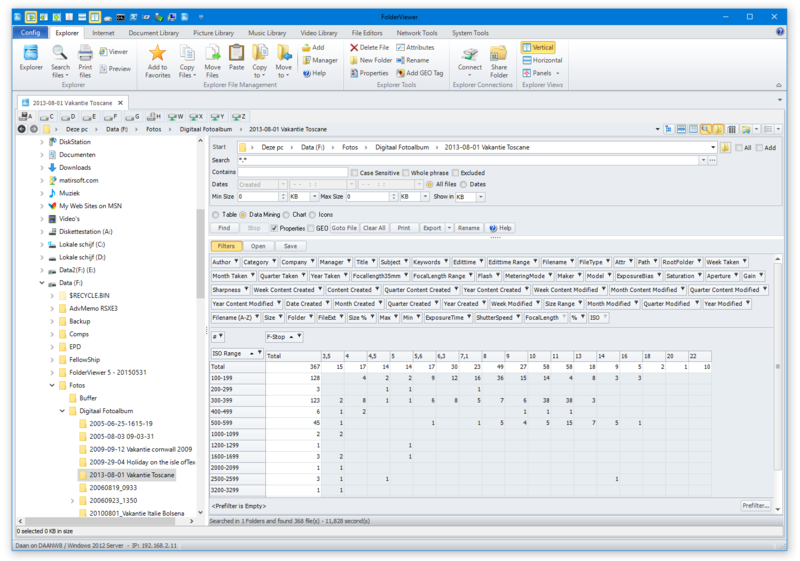 FolderViewer is the Whole in One of Windows. How would you improve FolderViewer 5.1? GOTD, fix the requirements info. Starting setup.exe complains "Sorry, but this installation program cannot install on the Windows XP platform"
GOTD, fix the requirements info. Starting setup.exe complains "Sorry, but this installation program cannot install on the Windows XP platform"
Sorry but we have no options to change that on GOTD website. Will not install on XP. We had send them a correct compatibility statement. "Sorry , but this installation program cannot install on the Windows XP platform" . Went to the homepage of the product . at organizing and managing files using MS Windows 7, 8 ,10. " So , please fix your description . I am a little bit annoyed . Not so much about my wasted time , but because I really wanted to try this program . NO XP SUPPORT Even though in the description says : "Windows XP/ 7/ 8/ 10 (32&64 bit) and Creator Update" , when tried to install got an error message : "Sorry , but this installation program cannot install on the Windows XP platform" . Went to the homepage of the product . In the description says : "The program has been designed with the user in mind, making the user more productive at organizing and managing files using MS Windows 7, 8 ,10. " So , please fix your description . Thanks . Ps. I am a little bit annoyed . Not so much about my wasted time , but because I really wanted to try this program . Hi , thank you for the answer , even though the comment was for the GOTD team . the chance to try it ? Version 4.8 is quite different. We can upload it for you. It will run on XP and is freeware. JEDIGEG, Version 4.8 is quite different. We can upload it for you. It will run on XP and is freeware. MatirSoft Support. Hi , thank you very much for your answer and offer . Were can I find it . Is there a link in your homepage ? I just downloaded and installed FolderView from the Matirsoft website, and it turned out to be version 5.0 which leaves me wondering why it isn't version 5.1 (please advise). The splashscreen displays the major version. The caption of the main screen displays major plus minor versions. Silly me, I didn't look at the title bar, where as you say it clearly displays that it's version 5.1 -- I went looking for the version and subversion details in the "About" dialog, which is where some software has this info (but FolderView doesn't). It's a matter of taste, as you say. 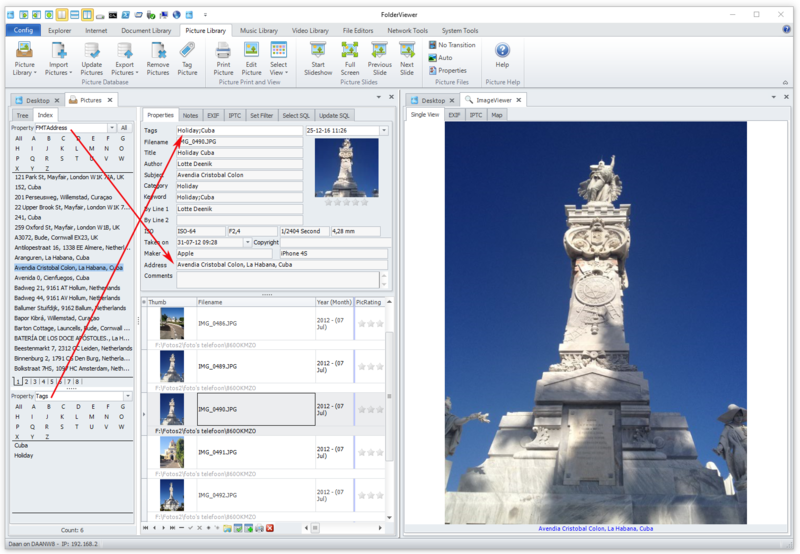 FolderViewer is an Interesting explorer product (of whhih theer are many on the market, some fee and thers free). It is far more that a "folder" viewer so in that sense the name is a bit misleading and undersells the power of the software. As others have commented, there are lots of things to experiment with. Silly me, I didn't look at the title bar, where as you say it clearly displays that it's version 5.1 -- I went looking for the version and subversion details in the "About" dialog, which is where some software has this info (but FolderView doesn't). It's a matter of taste, as you say. FolderViewer is an Interesting explorer product (of whhih theer are many on the market, some fee and thers free). It is far more that a "folder" viewer so in that sense the name is a bit misleading and undersells the power of the software. As others have commented, there are lots of things to experiment with. Had the earlier GAOTD version. Failed to work on a Windows 10 machine. Ran the uninstall with did not get all the files because program was still running. Used task manager to kill program, then deleted files. Did a install and it works find. Delete earlier version before installing. Had the earlier GAOTD version. Failed to work on a Windows 10 machine. Ran the uninstall with did not get all the files because program was still running. Used task manager to kill program, then deleted files. Did a install and it works find. Delete earlier version before installing. Previously mentioned in MW reply to #17. Previously mentioned in MW reply to #17. Hope that helps as well. So many features, and no folder size. So many features, and no folder size. Uninstalled. 1. Simple: Just select the Folder and click on Properties item from the Explorer Menu. 2. Use the Pivot tables to create extremely detailed reports about sizes of folders and subfolders. Export the results to Excel or Print them. We will place a instruction video later today on our YouTube channel. How do I make the font bigger so I can see what I'm doing? Or is it as stupid as windows explorer? I dunno...was tempting at first, but sure seems like a lot of "Nice program, *BUT*..."
It can be overwhelming in the beginning, but you can modify the Ribbon and switch some functionality off and grow into the program as you go along. Just a word of caution on this one. I installed the previous version from GOTD and liked it so much I paid for a license. The I discovered, courtesy of my Malwarebytes subscription, that Folderviewer installed Enigma malware each time it ran. I queried this with Matrisoft, who provided a denial, but with no detail. So I uninstalled it and asked for my money back, which they refused to do. So now they are offering the product as donationware, and I'm not supposed to be suspicious? Well I am, but I'm also a risk-seeker, so I installed the new one and ran a Malwarebytes scan, which it passed. Just a word of caution on this one. I installed the previous version from GOTD and liked it so much I paid for a license. The I discovered, courtesy of my Malwarebytes subscription, that Folderviewer installed Enigma malware each time it ran. I queried this with Matrisoft, who provided a denial, but with no detail. So I uninstalled it and asked for my money back, which they refused to do. So now they are offering the product as donationware, and I'm not supposed to be suspicious? Well I am, but I'm also a risk-seeker, so I installed the new one and ran a Malwarebytes scan, which it passed. But I'm still suspicious. First Enigma is not malware. Some programs detect a false positive, like Malwarebytes did. The program had no flaws as you stated yourself, so there was no ground for a reimbursement. PS: We hope you will get a bit more trust in your life and in the good intentions of the majority of the world's population. dennis tonevi, First Enigma is not malware. Some programs detect a false positive, like Malwarebytes did. The program had no flaws as you stated yourself, so there was no ground for a reimbursement. MatirSoft Support PS: We hope you will get a bit more trust in your life and in the good intentions of the majority of the world's population. The developer says Enigma was a protection against illegal copying, provided by an external service, not a piece of malware. He also says it has been removed, since the program is now free. So I don't think you need to be suspicious (see his comment down the page). dennis tonevi, The developer says Enigma was a protection against illegal copying, provided by an external service, not a piece of malware. He also says it has been removed, since the program is now free. So I don't think you need to be suspicious (see his comment down the page). It's better not to mix business with moral posturing and character assassination, especially when directed at customers. As for being wary of malware, that has nothing to do with the alleged good intentions of the majority of the world's population. Malware is prevalent. Cyber crime is very real and very dangerous. Whether it is practised by the majority or a minority of the world's population is completely irrelevant. MatirSoft Support Team, It's better not to mix business with moral posturing and character assassination, especially when directed at customers. As for being wary of malware, that has nothing to do with the alleged good intentions of the majority of the world's population. Malware is prevalent. Cyber crime is very real and very dangerous. Whether it is practised by the majority or a minority of the world's population is completely irrelevant. MatirSoft Support Team, probably best not to challenge a potential customer, who (justifiably) is concerning about security issues, especially in this day and age . . . . I submittted email here on GOTD for program, but again, as usual, after several hours still nothing in email or Spam, glad was able to at least this time download program directly from developer site. This is Nice program with many options, after watching most of the folderview video tutorials, still just not very user friendly, needs better options and some improvements. **Was hoping, but Could not find a way to easily Hover over to preview/play videos on connected usb drive or on pc. Do not like, or use Internet Explorer, due to all the issues and viruses etc, would prefer to use bing, firefox, or palemeoon much better for online searching. **Was hoping to, as per folderview tutorial video, be able to copy select videos and add in new folder, but maintain desired order of videos in new folder, but folderview would not maintain order after pasting files. Not sure if bug, everytime select 4 or 5 videos on drive, and try to do custom copy, folder view, says must select a file, so does not work properly. **Just could not get the search option to work well for me at all, tried search men's sandals a few google results in tiny window, could not get it to use my preferred Bing.com for searching. **Also tried searching for known online movies, also video file duplicates, and multiple files that are on my connected drive, always zero results. needs a complete online video Downloader for all or at least most websites, like similar programs can already do. 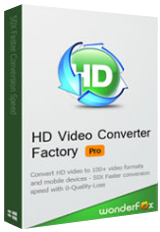 ***Along with a video/audio trimmer option, a basic Super Hot MP4 Video Playlist Crossfading feature is the hottest video feature out! to highest best sounding Same Equal Levels without clipping or distorting, so sound does not jump back & forth too high or too low. Again, a useful program with good potential, but could use some improvements and addtl features, would even pay for. We strongly suggest to you to watch the hands-on instruction videos first, because while reading your "review" we noticed that you definitely miss out on many options and knowledge about how to operate the program. As I mentioned, I did spend a few hours testing program, and going thru most of the video tutorials, but they are very long and drawn out, still could not find answer to my issues with program. Again, the program has good potential, but as a pc, apple, android user of many years, have used many many tech programs etc, but as others have said, this program is saturated with so many options, hard to find specific and useful tools needed, could be alot more user friendly in the layout etc. MatirSoft Support Team, As I mentioned, I did spend a few hours testing program, and going thru most of the video tutorials, but they are very long and drawn out, still could not find answer to my issues with program. At least advise or point me to the area to obtain answers many options I missed/ Again, the program has good potential, but as a pc, apple, android user of many years, have used many many tech programs etc, but as others have said, this program is saturated with so many options, hard to find specific and useful tools needed, could be alot more user friendly in the layout etc. We suggest to watch the General Introduction first. Next view the more detailed videos. Free is good, of course. But I do have issue with a few things. First is I like to be able to resize an apps window on the screen when I use it. For some reason, they have limited that function to full screen or a window using about 80% of the screen. You can resize it in between those 80% or 100% but I'd like to use a smaller window, say 40% of the screen. The app doesn't let you do that. The other main fault I find, like so many programmers do, they have made the font used VERY tiny. It's minuscule! Now I know they cramming alot of text on the screen but it's really really small. It does do alot of things just like other file managers but I don't see anything it's doing that all the other file managers also do. BTW, just to mention it, I do use a file manager called PowerDesk that I've used for years and I use Windows file explorer. This looks like an OK app but I don't see anything that makes me want to switch. Free is good, of course. But I do have issue with a few things. First is I like to be able to resize an apps window on the screen when I use it. For some reason, they have limited that function to full screen or a window using about 80% of the screen. You can resize it in between those 80% or 100% but I'd like to use a smaller window, say 40% of the screen. The app doesn't let you do that. The other main fault I find, like so many programmers do, they have made the font used VERY tiny. It's minuscule! Now I know they cramming alot of text on the screen but it's really really small. It does do alot of things just like other file managers but I don't see anything it's doing that all the other file managers also do. BTW, just to mention it, I do use a file manager called PowerDesk that I've used for years and I use Windows file explorer. This looks like an OK app but I don't see anything that makes me want to switch. 1. The minimum size is 1124 x 790. Beyond that you can set it to any variable size, which is saved automatically with the screen position. 2. There so many things in FolderViewer that can not be done by other programs, that it will to much space here to mention it all. Our advice is to watch the instruction videos. 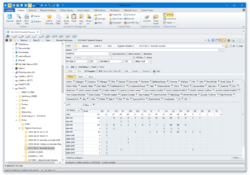 To name a few the Advanced Copy Tool, creating Pivot Tables to analyze your files and the Dual Matrix Queries to search through your Libraries. Admitted, these are advanced issues, not suitable for every user. But you can grow into the program as you go along. I had version 5.0 from a previous giveaway, and when installing this version 5.1 I allowed it to overwrite the existing installation. After completing the installation I tried to run it but I repeatedly got error messages and it would not open beyond the splash screen. Even after a couple of reboots it would not run (version 5.0 did give a message that a reboot was necessary immediately after installing it). This is most unfortunate as I did find version 5.0 useful. Maybe you better do a clean install with the version on our website. Why not uninstalling it and then install the new version ? It looks like I experienced similar problems to you when allowing v5.1 to install over v5.0 on Win 10, 64 bit. What was your error message(s) please? When I tried to run the program using the desktop shortcut, I got an error basically saying only one instance of the program could be run (i.e. another was already running, even though I hadn't opened the program and nothing was displayed on the screen). I tried various things such as stopping all the 'FolderViewer' related tasks (using Task Manager), re-installing setting 'Run as Administrator' (I was also logged into an Admin user account), but still experienced the same error message / problem! I also tried downloading both the zip and exe files from http://www.matirsoft.com/ but the Windows Defender program quarantined the files saying they contained 'Trojan: Win32/Spursint.F!cl' (N.B. These may well be 'false positives' as checking the Matirsoft website and file download url's using https://www.virustotal.com/ didn't indicate there was a problem). Anyway, I decided to completely remove both versions of the program from the installation folder(s) initially using their 'Uninstall' program (which left some remnants) and then the Windows 'Add/Remove programs' feature (which also left some remnants). I subsequently also manually deleted all the remaining remnants (files and folders) that hadn't been deleted and then re-ran the GOTD set-up file*. The above solved the problem on my PC and v5.1 now runs correctly. I hope this helps solve your problem. *Incidentally, on this occasion, I had previously extracted the setup.exe file (from the downloaded GOTD zip file) although I find that, on my PC, this has not been necessary with previous GOTD downloads (i.e. I have always be able to run the setup.exe file from within the zip files without extracting them first). Hi emperor, It looks like I experienced similar problems to you when allowing v5.1 to install over v5.0 on Win 10, 64 bit. What was your error message(s) please? When I tried to run the program using the desktop shortcut, I got an error basically saying only one instance of the program could be run (i.e. another was already running, even though I hadn't opened the program and nothing was displayed on the screen). I tried various things such as stopping all the 'FolderViewer' related tasks (using Task Manager), re-installing setting 'Run as Administrator' (I was also logged into an Admin user account), but still experienced the same error message / problem! I also tried downloading both the zip and exe files from http://www.matirsoft.com/ but the Windows Defender program quarantined the files saying they contained 'Trojan: Win32/Spursint.F!cl' (N.B. These may well be 'false positives' as checking the Matirsoft website and file download url's using https://www.virustotal.com/ didn't indicate there was a problem). Anyway, I decided to completely remove both versions of the program from the installation folder(s) initially using their 'Uninstall' program (which left some remnants) and then the Windows 'Add/Remove programs' feature (which also left some remnants). I subsequently also manually deleted all the remaining remnants (files and folders) that hadn't been deleted and then re-ran the GOTD set-up file*. The above solved the problem on my PC and v5.1 now runs correctly. I hope this helps solve your problem. Good luck! Best wishes Mike *Incidentally, on this occasion, I had previously extracted the setup.exe file (from the downloaded GOTD zip file) although I find that, on my PC, this has not been necessary with previous GOTD downloads (i.e. I have always be able to run the setup.exe file from within the zip files without extracting them first). Thanks for your suggestions and after uninstalling the program and doing a clean re-install it now works for me. Thanks again. MW, I had the single instance running error message and I also had an exception error when the program closed. Neither of these messages were helpful for me. The original pop-up that asked if I wanted to install over the existing program did not make clear what choosing the other option would lead to, whether the alternative was to uninstall the existing program or to install in a different location. A clarification here in future may help to avoid some of the issues we have had. MW, Morinio and MatirSoft Support, Thanks for your suggestions and after uninstalling the program and doing a clean re-install it now works for me. Thanks again. MW, I had the single instance running error message and I also had an exception error when the program closed. Neither of these messages were helpful for me. The original pop-up that asked if I wanted to install over the existing program did not make clear what choosing the other option would lead to, whether the alternative was to uninstall the existing program or to install in a different location. A clarification here in future may help to avoid some of the issues we have had. This is an intriguing piece of software. At first sight, there are many appealing functions. However, the interface seems bloated. Starting from the top of the window, Windows Explorer and Directory Opus have three layers of commands. Folder Viewer has six ! Would you care for a dollop of mayonnaise with your chocolate cake ? You can customize the menu and remove menu options. I get an error messege about one FolderViewer can be active and after that it comes an messege as say, Runtime error 216 at 00409EE what it is mean and how shall I do to solve it on win7 Ultimate 64? We suggest an uninstall and a new install. But after I started this pgm, I can see only first "splash image" and then pgm. crashed :-(( . But his process is "on" and it gives about 25% CPU (permanently). Installed = OK. But after I started this pgm, I can see only first "splash image" and then pgm. crashed :-(( . But his process is "on" and it gives about 25% CPU (permanently). Can anybody help? This is a nice piece of software, although it took me a while to show the file viewer. You have to click the Auto button under the Explorer tab. I did get a access violation when I closed one of the tabs, but it didn't crash. This software reminds me of Disk Jockey File Viewer, Directory Opus and Powerdesk. I purchased Powerdesk 9 Pro at a highly discounted price. All of these programs have a file preview feature. I wish they would have enabled the Info Tip on all of the various buttons. I haven't had time to go through all features, but will post back later after checking out ALL options. This is a nice piece of software, although it took me a while to show the file viewer. You have to click the Auto button under the Explorer tab. I did get a access violation when I closed one of the tabs, but it didn't crash. This software reminds me of Disk Jockey File Viewer, Directory Opus and Powerdesk. I purchased Powerdesk 9 Pro at a highly discounted price. All of these programs have a file preview feature. I wish they would have enabled the Info Tip on all of the various buttons. I haven't had time to go through all features, but will post back later after checking out ALL options. Not only is it really really nice to see a company who isn't out just for themselves, it appears to be a great program and I can't wait to try it. Why does the install window occupy the whole f...ing screen??? Downloaded and installed problem-free. I visited the author's website and downloaded all of the instructional videos to my hard drive. So far I've watched two videos, and the attention to detail and available tasks is mind blowing. I can see this is going to be my main go-to application very quickly. Thank you so very much! As I understand it the purpose is to allow the developer to open various macro enabled Microsoft office documents inside the systems browser object... to me that just seems plain risky as it is enabled both inside and outside the program... my recomendation is to just say NO to merging the reg files and avoid the risk completely. If you want to see what's inside an office document open it in the real program with security prompts available! TK, No comment here by War66. I'm a big fan of Servant Salamander - a freeware "Norton Commander" look-alike (Yeah, I'm an old guy). Mostly because of its dual panel structure (and having the old PF key functionality [F5 copy, F6 move], plus I like the blue background. (Those white screens give me a headache after a while). That being said, this appears to have so much more functionality, I may have to switch after I finish checking it out. The setup for this DOES appear complicated to me, notwithstanding the You Tube tutorial (ratchet up the resolutiontion 720 or 1080 to unblur the text in the vid). Right now I can't figure out how to add a directory to the "document library." I think (hope) that is not the Windows "documents" catch-all - I never put anything in there, based on historical problems with it sometimes being a Metaphysical directory that occasionally can't be referenced. Instead I have a separate "Docs" folder with subfolders for Word, TXT, Excel, etc. It looks like there's a way to add documents (or directories?) to the FolderViewer "Document Library," but I haven't figured it out yet. Anyway, the learning curve on this seems steep, but the huge addition of functionality is likely to make me change over to this product. I DO wish I could manipulate the various screen/text/background/highlight colors (hey, maybe that's in another config option?) but this looks like a great product. Thank you, Matirsoft and GAOTD! I'm a big fan of Servant Salamander - a freeware "Norton Commander" look-alike (Yeah, I'm an old guy). Mostly because of its dual panel structure (and having the old PF key functionality [F5 copy, F6 move], plus I like the blue background. (Those white screens give me a headache after a while). That being said, this appears to have so much more functionality, I may have to switch after I finish checking it out. The setup for this DOES appear complicated to me, notwithstanding the You Tube tutorial (ratchet up the resolutiontion 720 or 1080 to unblur the text in the vid). Right now I can't figure out how to add a directory to the "document library." I think (hope) that is not the Windows "documents" catch-all - I never put anything in there, based on historical problems with it sometimes being a Metaphysical directory that occasionally can't be referenced. Instead I have a separate "Docs" folder with subfolders for Word, TXT, Excel, etc. It looks like there's a way to add documents (or directories?) to the FolderViewer "Document Library," but I haven't figured it out yet. Anyway, the learning curve on this seems steep, but the huge addition of functionality is likely to make me change over to this product. I DO wish I could manipulate the various screen/text/background/highlight colors (hey, maybe that's in another config option?) but this looks like a great product. Thank you, Matirsoft and GAOTD! Setup hangs after UAC is given a go, and won't cancel; had to force down along with MSI. A retry gave same result. Status bar never goes past 0, even after 12 minutes of wait. Running Windows 10-64bit, Version 1703, Build 15063. Setup hangs after UAC is given a go, and won't cancel; had to force down along with MSI. A retry gave same result. Status bar never goes past 0, even after 12 minutes of wait. Running Windows 10-64bit, Version 1703, Build 15063. MatirSoft Support Team, Worked fine with the direct download. Thanks. First off let me say how nice it is to see a developer supporting such a worthy cause and instead of asking us to pay inflated prices for software asking us to make a donation to Save The Children instead. A big 10/10 for that. Downloaded and installed on Win 10 (64) without any problems. FolderViewer is an excellent piece of software, with plenty of useful functions which I'll make good use of and because I like it and like the developer's concept of donation-ware I decided it was worth making a donation to Save The Children. It's nice to know that in return for this useful program that I can make to small difference to those less fortunate than myself. Thank you GOTD and Martisoft. First off let me say how nice it is to see a developer supporting such a worthy cause and instead of asking us to pay inflated prices for software asking us to make a donation to Save The Children instead. A big 10/10 for that. Downloaded and installed on Win 10 (64) without any problems. FolderViewer is an excellent piece of software, with plenty of useful functions which I'll make good use of and because I like it and like the developer's concept of donation-ware I decided it was worth making a donation to Save The Children. It's nice to know that in return for this useful program that I can make to small difference to those less fortunate than myself. Thank you GOTD and Martisoft. DaveC, what makes this 'an excellent piece of software with plenty of useful functions which you'll make good use of"???? Where are you ... .. ? At a time like this ... Karl? .. Where are you ... .. ? This looks good, and I'm hoping it will outdo Explorer++ in user friendliness. Trying it will cost nothing so I'm set to go. Please donate, any amount will do. Use any social media available to you to share the program. 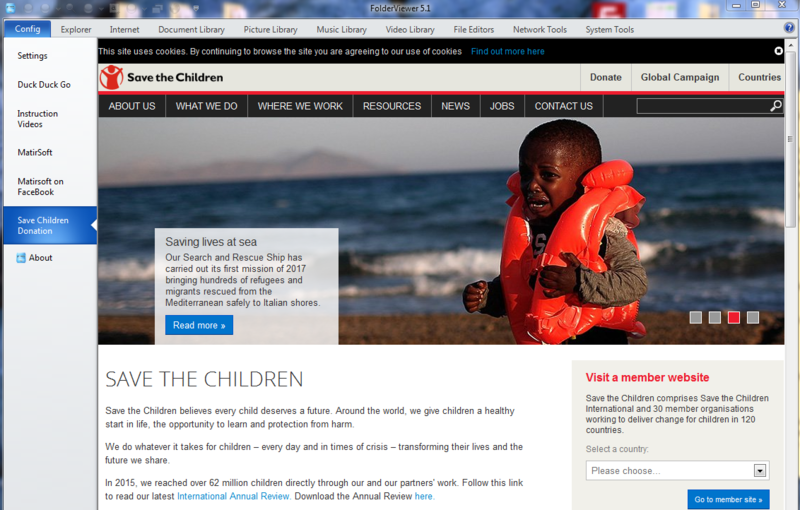 MatirSoft is not affiliated with the organization "Save the Children", we just support it." GiveAwayOfTheDay mentions a price of $10.00. This is not correct, it is donorware. It is up to the user to donate or not. Also, there is no protection scheme anymore, so during installation no connections will be made to the Enigma servers anymore.